Panos Panay, Corporate Vice President for Surface at Microsoft, told CNET recently that “there’s no such thing as a [Surface] Pro 5” in an attempt to drive home the notion that his company wouldn’t update the Surface Pro 4 until a “meaningful” change is in order. After viewing images of the alleged device provided by serial leaker Evan Blass, however, it would seem that Microsoft may be having a change of heart (or perhaps the meaningful changes aren’t visually evident). 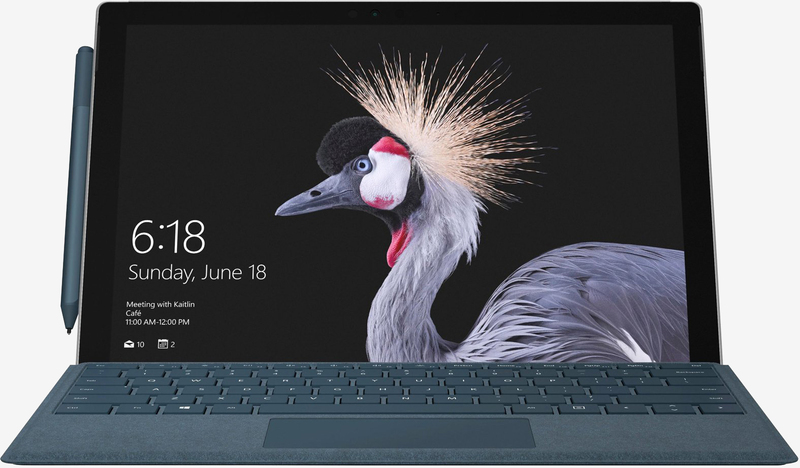 Indeed, the system in the supplied image looks very similar to what’s already on the market in the form of the Surface Pro 4 save for a few slightly different choices on the accessory color palette and an overall design that’s a hair slimmer and sleeker (sorry, there’s still no USB Type-C connector). Blass doesn’t speculate on changes under the hood although it’s pretty much a given that we’ll find Intel’s latest family of processors and perhaps some speedier supporting hardware. He does note, however, that the device will simply be known as the Surface Pro rather than the Surface Pro 5. Microsoft revealed earlier this month that it would be hosting a media event on May 23 in Shanghai where it’ll “show the world what’s next.” It’s at this event that we’ll likely see the next Surface Pro as well as a Surface Phone.